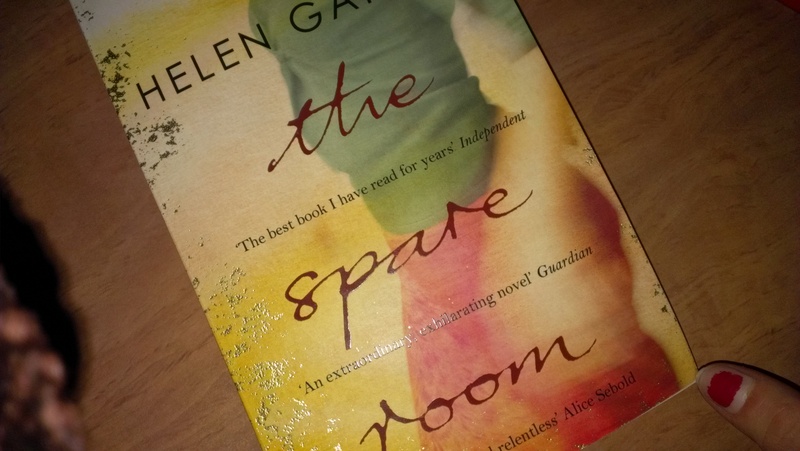 Book: The Spare Room, Helen Garner. First Pub 2008 – The Text Publishing Company. Why: It’s so real, visceral. I felt like I was actually Helen caring for, getting angry at, and cleaning up after Nicola. Helen is brave, goes right to the truth of it and so crisply and clearly. I’ve been thinking about the difference between fiction and non-fiction, not the actual difference, I mean in terms of writing style, and it’s occurred to me there does not have to be any difference. I’ve often had more success with my non-fiction than my fiction and after reading this I realise why: I’ve been wafting around the details in fiction. I need to get to the nit and grit of my characters and feel them, really see how the character sees and believe it, and throw some emotion at it. I’m doing a final edit of my current book, and today went back to the start to make a real attempt to implement this, the crisp realness that comes with non-fiction, seeing, feeling and knowing, not pretending to know. Peggy glanced at me. Horrified sympathy passed along her eye-beams. It weakened me. A huge wave of fatigue rinsed me from head to foot. I was afraid I would slide off the bench and measure my length among the cut roses. At the same time a chain of metallic thoughts went clanking through my mind, like the first dropping of an anchor. Death will not be denied. To try is grandiose. It drives madness into the soul. It leaches out virtue. It injects poison into friendship, and makes a mockery of love. What about the importance of the right adjective? Cut them out is often the advice, but when you do need them, should you go to the thesaurus for something unique, or should you wrangle common words into a lovely and intriguing formation? I don’t know. She was an elegant, stick-thin woman pushing forty, in a narrow jacket and skirt that skimmed her wiry frame; her ankles and arches were so bony that she had to scuff her feet to keep her high-heeled sling-backs on. Her hair was springy as a pot scrubber, and her face was a darkly lit by a half-smile of ferocious irony. Passages Of Writing: The Plagiarist, by Hollis Seamon. I look forward to reading your blog so much. Your commentary on the passages you quote are very instructive and do help me think about my own writing. Thank you.